The new 2019 Nissan Kicks is the newest model to come from the B0 platform. The new compact SUV is bigger, better styled, and more equipped compared to some of its global counterparts. 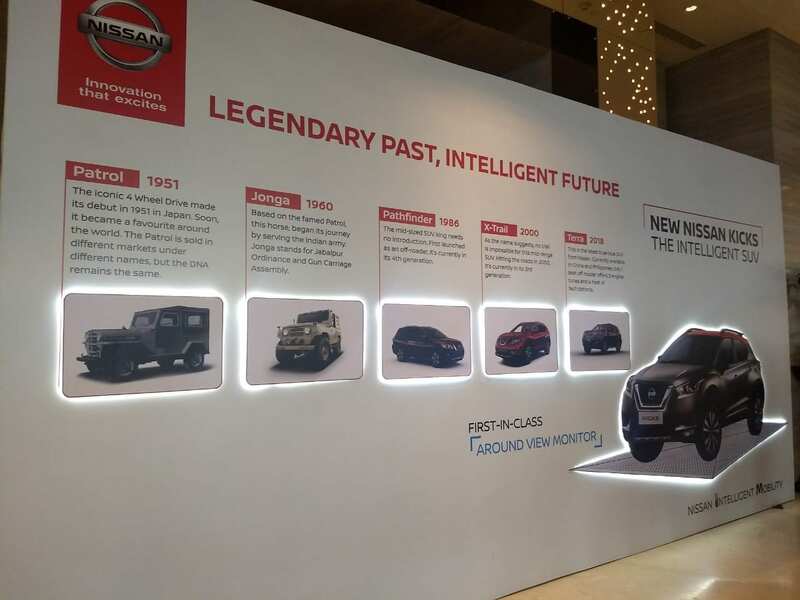 The all-new 2019 Nissan Kicks today went on sale in India and we have all the highlights from the launch event here. 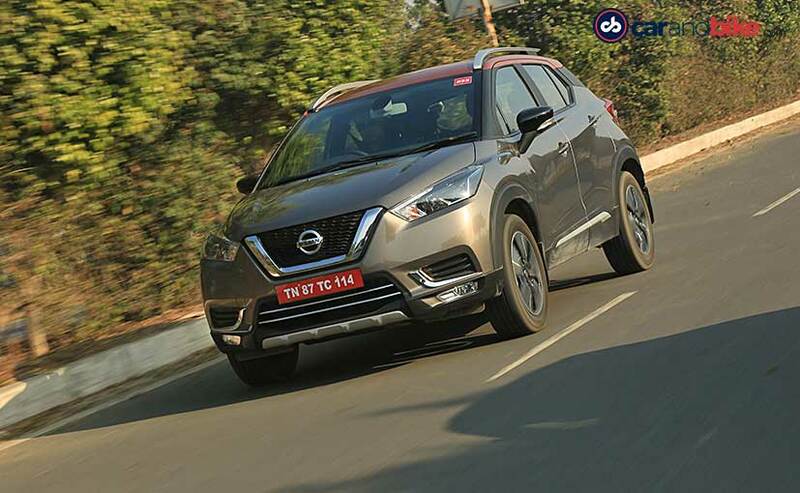 The India-spec Nissan Kicks is bigger, better styled, and more equipped compared to some of its global counterparts, and based on a recently leaked brochure, the SUV will be feature packed right from the base variant. 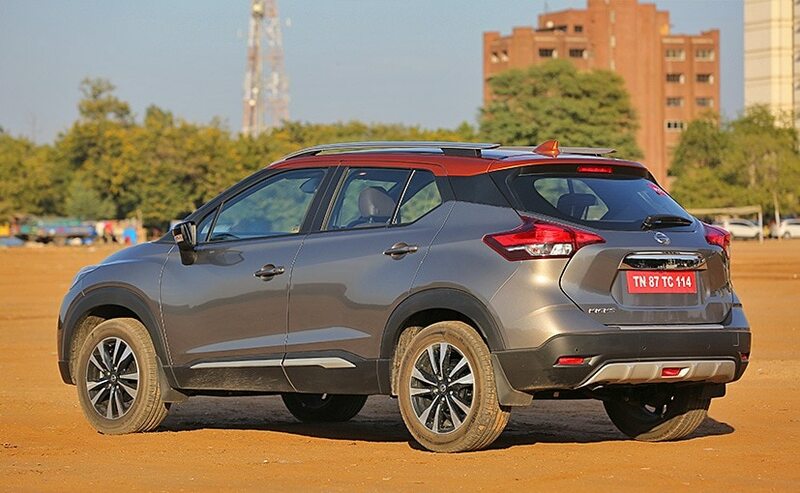 Unlike the global version of the SUV, the India-spec Nissan Kicks is based on Renault-Nissan Alliance's B0 platform, which also underpins its rival, the Renault Captur. 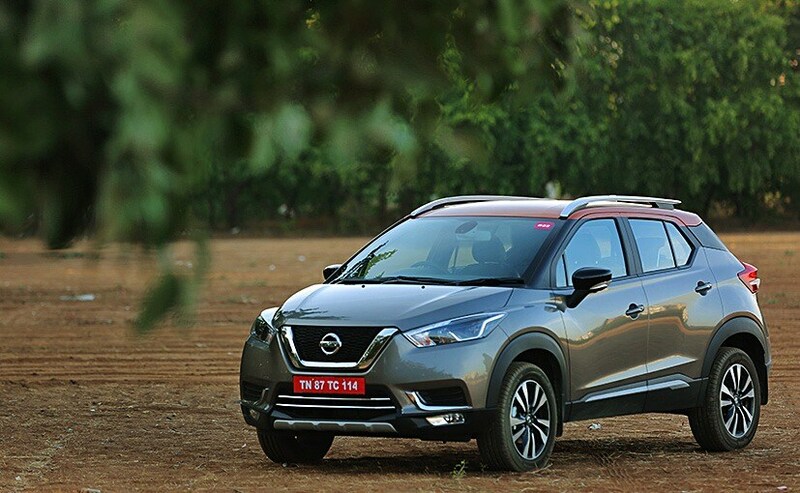 However, the Nissan Kicks will mainly challenge the segment leader Hyundai Creta, and we have already told you where these two SUVs stand against each other, both on paper and in real-world conditions. Like most offerings in this segment, the Nissan Kicks too will come with the option of both petrol and diesel engine, under the hood. 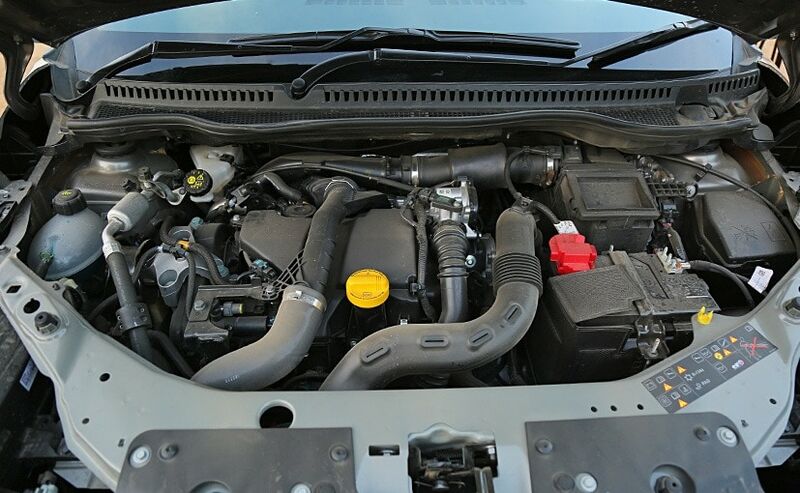 They are the same tried and tested 1.5-litre petrol and 1.5-litre diesel engines, which have been powering the Nissan Terrano, Renault Duster, and Captur. The former makes about 104 bhp and 142 Nm torque, while the oil burner churns out 108 bhp and 240 Nm of peak torque. 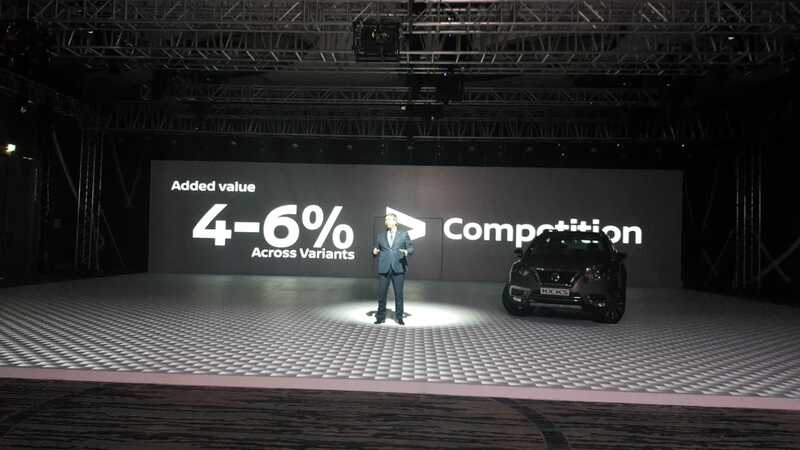 As of now, Nissan is offering the Kicks in India with a 5-speed and a 6-speed manual gearbox, for the petrol and diesel models respectively. An automatic variant is not on option yet, which in our opinion is a big miss. While it's the top-end variant that will come with all the bells and whistles, the base trim of the new Nissan Kicks is also feature-packed. 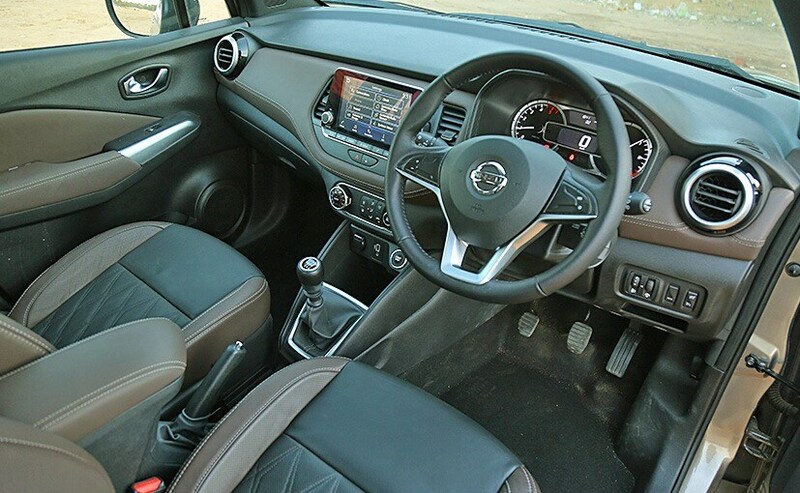 It gets features such as LED signature lights, height adjustable driver's seat, power windows, power-adjustable wing mirrors with turn indicators, automatic climate control, rear AC vents and Bluetooth connectivity for the audio system all come as standard. The top-end model, on the other hand, gets a segment-first 360-degree camera with rear parking camera, birds-eye view, a floating touchscreen display with Apple CarPlay and Android Auto and much more. 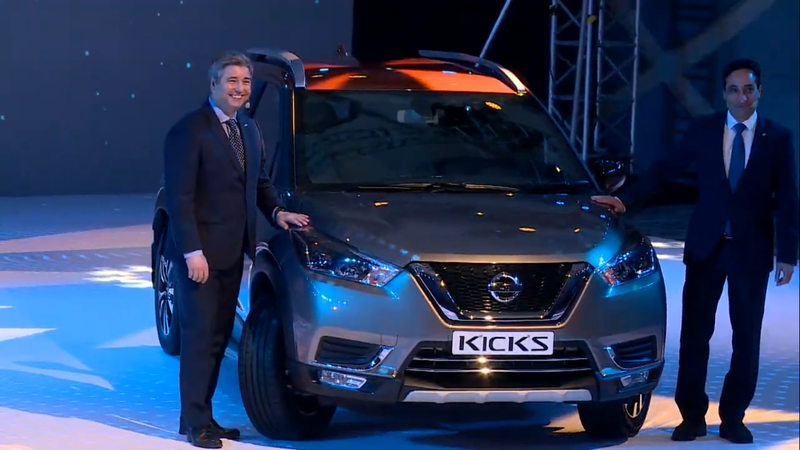 The new Nissan Kicks has been launched in India priced from Rs. 9.55 lakh to Rs. 14.65 lakh (ex-showroom, India). The new Nissan Kicks come with an added value of 4-6 per cent across all variants compared to its competitors. The SUV also gets the lowest cost of ownership in the segment with 3 years warranty, 3 years 24/7 road side assistance and 3 years service maintenance at no additional cost. The Nissan Kicks will come with a bunch of standard features like auto climate control, dual airbags, ABS, and more. Top-end model gets more. The Kicks has garnered 70 mill video views, 2.3 mill unique visitors and 50,000 brochure downloads. 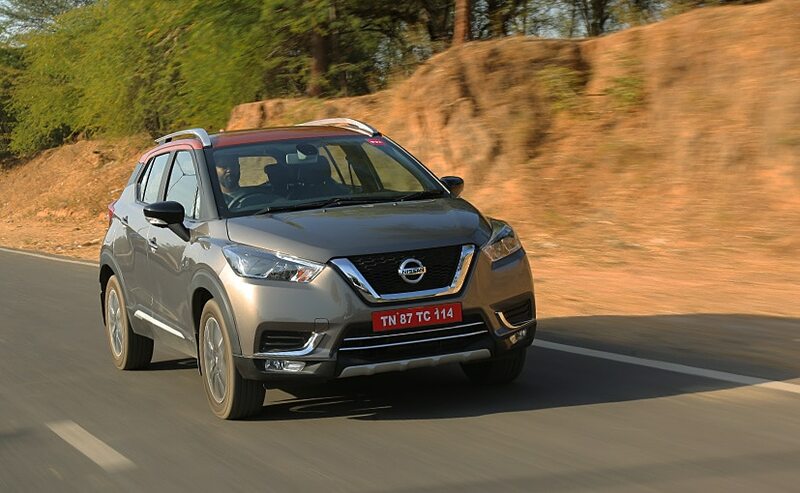 The Nissan Kicks comes with best in class 210 mm ground clearance, and segment-best turning radius of 5.2 m.
Nissan Kicks to kickstart the company's new product strategy. The company has also confirmed to launch the Nissan Lead electric car in India soon..
Nissan has strong plans for the Indian market. The company to focus on smart mobility, electrification, SUV leadership, network expansion. 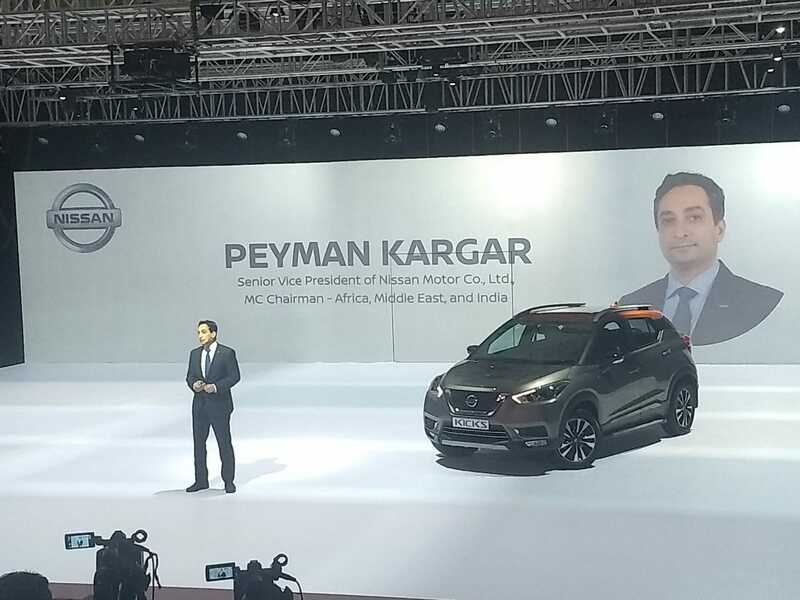 Peyman Kargar, Senior VP Nissan, takes the stage to talk about the brand and its future plans for India, Africa and Middle East. 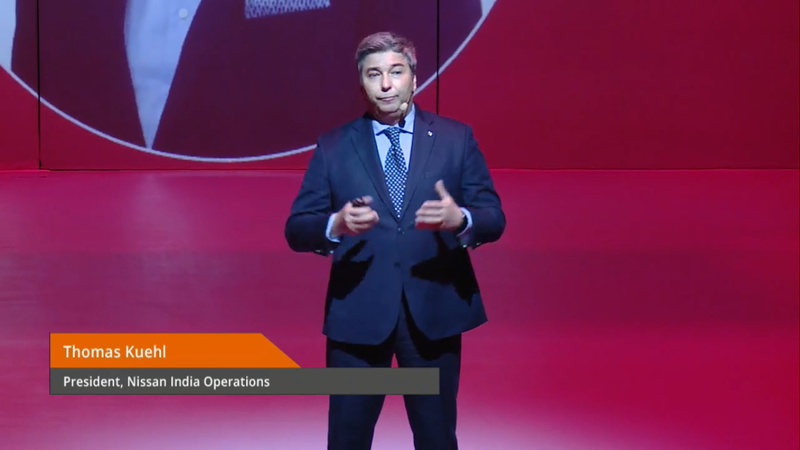 Thomas Kuehl, President Nissan India Operations takes the stage to kick-start the launch event. 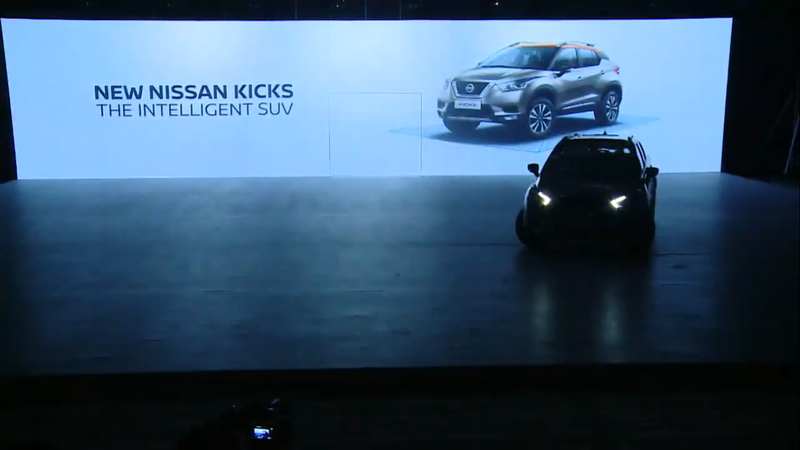 Wasting no time, Nissan has kickstarted the launch event with the SUV in out midst. The stage is set for the launch of the all-new Nissan Kicks. Stay tuned as we bring you more updates from the launch. The new Nissan Kicks will come with a 360 degree camera setup that offers rear, side and birds eye view, from inside the car. We are at the launch of the all-new 2019 Nissan Kicks. Here's a brief history of the company's SUV heritage. The new Nissan Kicks will be feature packed right from the base model XL variant. The XL trim gets features such as LED daytime running lights, height adjust for the driver's seat, power windows, power-adjustable wing mirrors with integrated turn indicators, automatic climate control, rear AC vents and Bluetooth connectivity for the audio system which is linked to four speakers for the audio output. The new Kicks will be launched with four variants- XL, XV, XV Pre and the top-spec XV Pre (O) both in the petrol and diesel range. While the top-end XV Pre (O) is sure to get the most bells and whistles, even the base XL trim in this new one is pretty well packed. The Nissan Kicks is 4384 mm long, 1813 mm wide, 1615 mm high and its wheelbase stands at 2673 mm. It also comes with some considerable cosmetic changes, compared to its global counterpart. The updates include revised headlamps and taillamps, new beefier and more aggressive bumpers, new 17-inch alloys, larger roof rails and more. 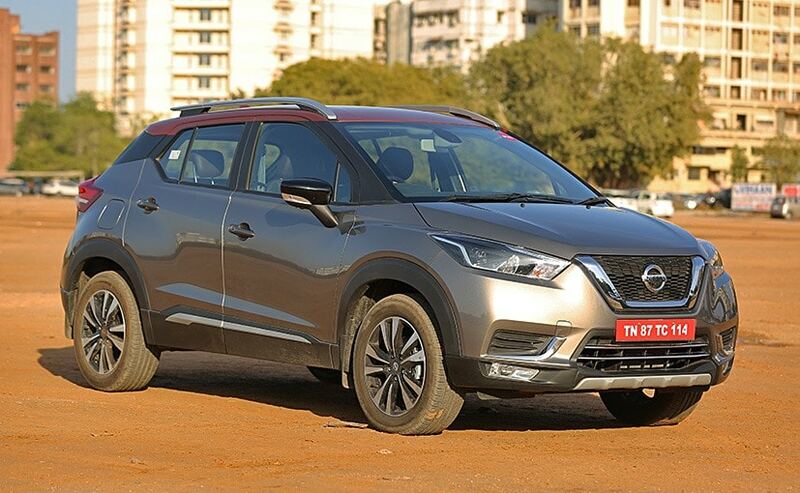 The new 2019 Nissan Kicks has been specifically developed for the Indian market and is different from the globally sold Kicks. The India bound model is based on the B0 platform, unlike the V platform based global-spec Kicks. 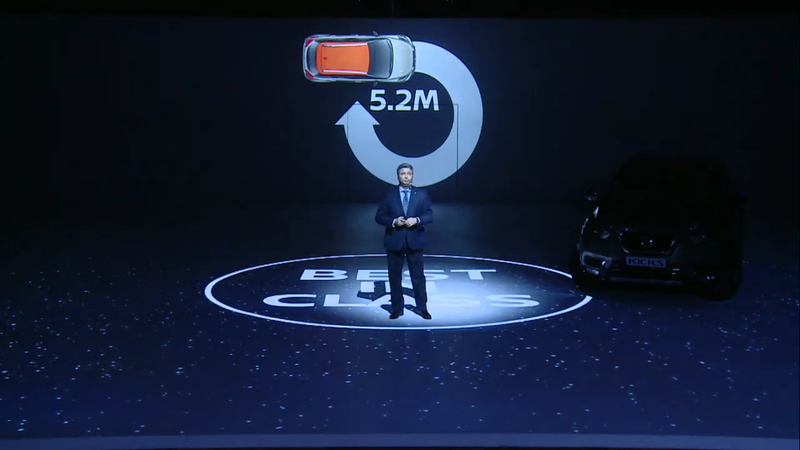 Thus it's bigger, gets revised styling and features and equipment specific to the Indian market. The much anticipated Nissan Kicks is finally set to go on sale in India today. 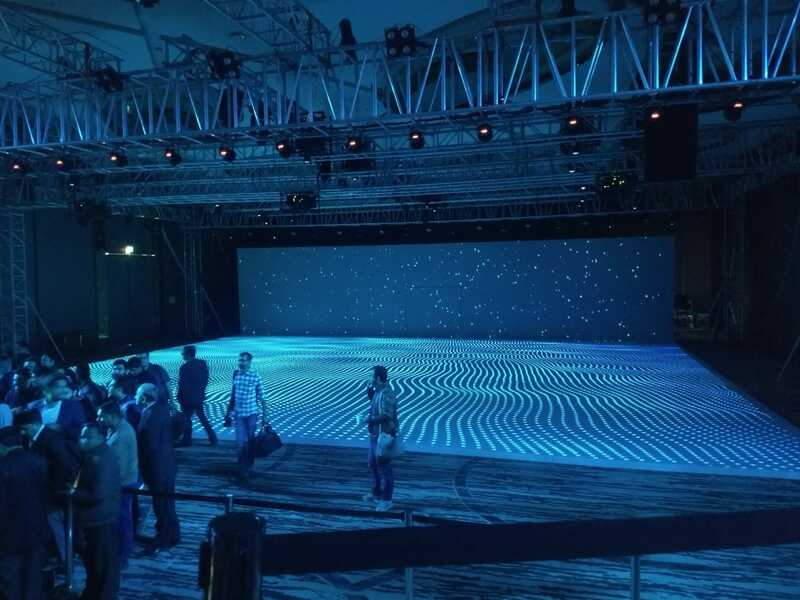 Keep watching this space as we bring you all the live updates from the launch event.